Optimizing pattern block design for low noise level. ECSTA Logo in tread. Appliction of straight rib for high speed driving stability. Max grip power at cornering. The Ecsta MX KU15 optimises dry handling without compromising wet grip with advanced silica compounding and a distinctive tread pattern developed by synergizing the latest technological concepts from competition and aircraft. The Ecsta MX KU15 is best suited for the sophisticated driver that demands maximum ultra high performance for the street. 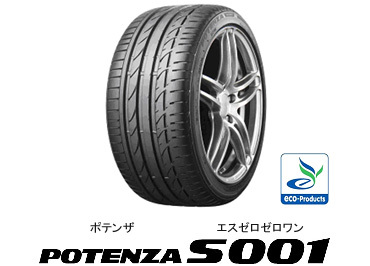 The Potenza S001 is Bridgestone's Max Performance Summer tire developed as Original Equipment for premium high-performance sports cars, coupes and sedans. 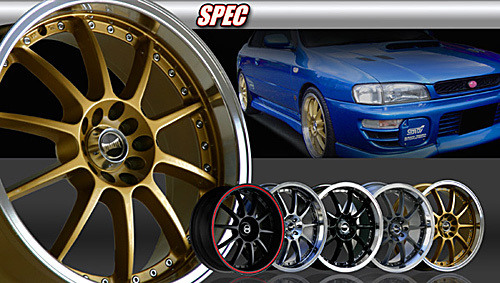 The Potenza S001 is designed to combine low rolling resistance efficiency with maximum sports performance in dry and wet conditions. However, like all summer tires, they are not intended to be driven in near freezing temperatures, through snow or on ice. The tire's internal structure features a lightweight belt package consisting of twin steel belts supported by a spirally wrapped aramid/nylon cord reinforcement that reduces rolling resistance, enhances ride quality and ensures high-speed durability. 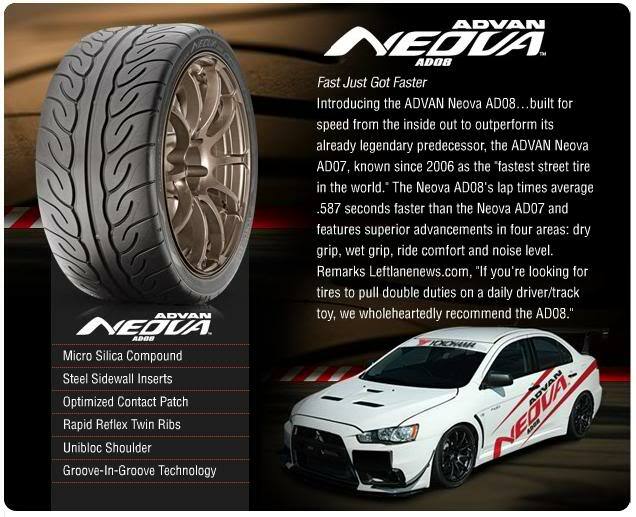 Active rubber inserts in the sidewalls near the bead areas tune vertical sidewall stiffness to blend cornering grip with ride comfort, as well as increase longitudinal stiffness to generate straight-line braking forces.